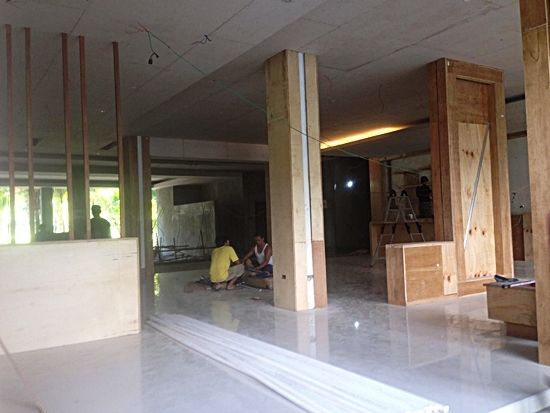 Here are latest photo updates of Benlyn Hotel located in Alunan Avenue, City of Koronadal. As shown, construction of the 4-storey Benlyn Hotel is now slowly moving into the final stages, they are now working on the interiors as well as finishing touches on the exteriors. Latest photo uploaded on Benlyn Hotel's Facebook Page shows full blast construction of the hotel's restaurant. Photo from Benlyn Hotel Facebook account. There is still no official announcement from Benlyn Hotel management about the opening but I bet this will open in July. FOLLOW @southcotabato on Twitter and LIKE I Love South Cotabato on Facebook for more updates.